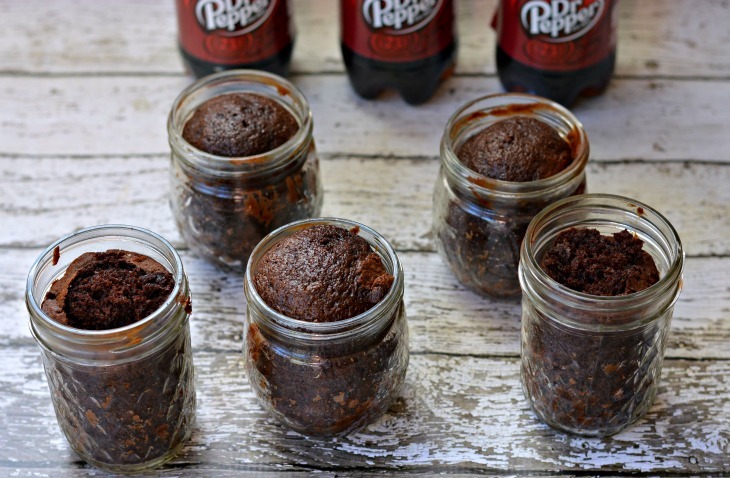 Dr. Pepper cake in a jar is a fun and portable treat perfect for tailgating! Use a box mix and Dr. Pepper to create this sweet to celebrate victory. Plus see how to get a free stadium blanket from our sponsor, Jingit, and Dr. Pepper! It is officially football season and that means that at least in our home it is also officially marching band season. From September until November my husband will spend every Tuesday night, many Friday nights, and most Saturdays at the helm of a high school marching band. Needless to say we spend a lot of time sitting on bleachers in a football stadium during these months. There are only so many nights of stadium hamburgers and hot dogs I can take so I pack up a portable feast for the kids and I to eat when at a game or competition. The key to every good tailgate or stadium picnic is portability and I've been wanting to try making cakes in a jar for a while. The kids are finally old enough to handle jars and forks without making a huge mess so I went for it. I basically made a chocolate box cake mix and used Dr. Pepper instead of water to make the cake. I filled the jars about half-full with cake mix, which was a tad too much, and baked according to the directions. And it worked! It was so easy. I scooped out a little bit of the top of the cakes and frosted them with vanilla frosting. They were so good and perfect for toting around for a tailgate. Another important part of eating in a stadium is warmth. It's no fun to try and enjoy a meal or a game while freezing! We keep a few stadium blankets in our car at all times just for that reason. Right now you can score a FREE stadium blanket (while supplies last) when you purchase Dr. Pepper using the new shopping app, Jingit. With the Jingit app, you can earn cash instantly online, in-store, and on the go with participating brands. You’ll also receive personalized cash back offers when you shop using the Jingit app. Right now you can take advantage of the Jingit Dr Pepper Tailgating Promotion going on at 1,300 Target stores until September 27! Just buy 3 participating Dr. Pepper products at a participating Target store and get a cozy stadium blanket for free. I love this blanket! It folds up nicely and even has handle but it's huge when opened up. It'll help keep you warm during football season. And to help you out even more, we're giving away a $500 Target gift card! You can stock up on all your tailgating needs for the entire season and get your free blanket! Just enter in the widget below. The giveaway will be open from September 8, 2014 to September 17, 2014 at midnight PST and is sponsored by Sway Group. One winner (from all 9 giveaways) will be selected to receive a $500 Target giftcard. Sway Group will select a winner on or about September 19, 2014, which will be highlighted in the Rafflecopter. The winner will be contacted directly by Sway Group. Make cake batter according to box directions swapping Dr. Pepper for the water. Spray the inside of pint canning jars with oil. Fill the jars with cake batter just under 1/2 full. Bake for about 15-20 minutes until done. Allow cakes to cool completely. Frost as desired. Close jars with lids for easy portability. This is a sponsored post written by me on behalf Jingit. Dr. pepper cake sounds delicious , love the idea of cute jars. Thanks for sharing with hearth and Soul blog hop. pinning. 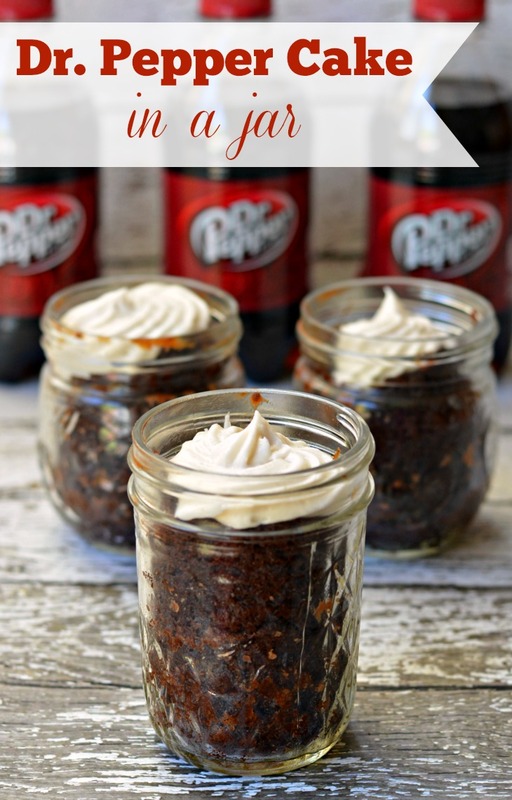 What a great idea, I love your Dr. Pepper Cake in the jars! Hope you are having a great weekend and thanks so much for sharing with Full Plate Thursday. I like the classic original Dr. Pepper Flavor, and I love that you can earn cash back! This looks great! Anything with Dr Pepper in it can’t be bad! My husband is the Dr. Pepper fanatic in our household. He prefers the diet flavor. Jingit is a cool app that lets me earn money just by learning about products while I’m shopping. I know a Dr. Pepper addict who would love this! What a fun idea! This looks delicious – I can taste the Dr. Pepper just from looking at the picture! I am a Diet Dr. Pepper fan and love the idea of saving money easily with the Jingit App. I will be making these cute cakes asap! Great for a party!! Diet Dr. Pepper. It actually does taste JUST like regular. No, seriously! I love saving money so…winner! I’m a big fan of Diet Dr. Pepper! And who doesn’t like to get cash back while shopping?! My daughter loves Dr. Pepper. She will be making cake in a jar this week. I love diet dr pepper. ….. love that the application helps u save money. My favorites are the original flavor and money back. I’m a Pepper too! Good ole Regular Dr.Pepper….Cash Back. I like cherry dr pepper and the offers jiggit has! Just regular ole Dr. Pepper is my fave. And the Jingit app is better than coupons! I love the original flavor Dr. Pepper the best! 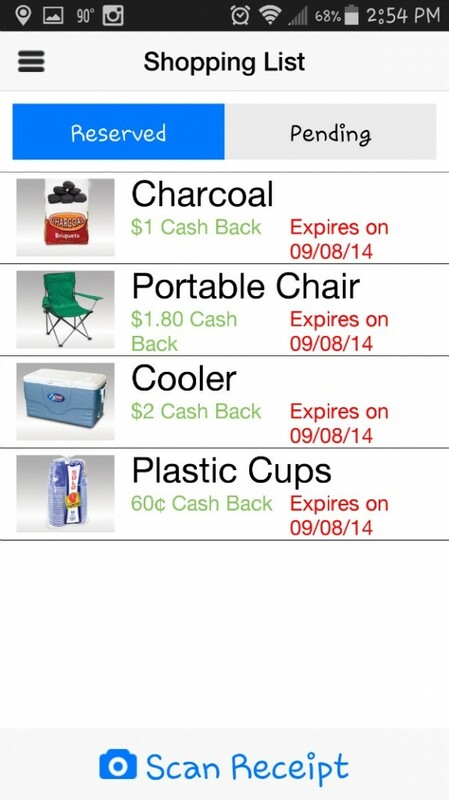 And I have never heard of the Jingit app but who doesn’t love cash back! My fav is the original Dr. Pepper. Cash back offer are great with Jingit. I like the original the best. My fav thing about the app is the cash back offers. Original Dr. Pepper!…. Love that with Jingit is that you can earn cash Instantly! I love regular Dr. Pepper and I love the promotions and how easy Jingit is! I’m a traditional Dr. Pepper kind of person. I never really got into those Cherry flavored sodas and such. Just keep it original for me! I love that the Jingit app is so easy to use, just scan the receipt! I love the original Dr. Pepper the best! My favorite feature about the Jingit app are the personalized cash back offers. I love old fashioned, regular Dr. Pepper! The Jingit app is actually really cool and it isn’t as tedious as other rewards apps I’ve used. I’m a big fan of them but many of them are pretty wacky. This one is user friendly too with a clean layout! WOW! This is a really cool and creative recipe!!! YUM! I would LOVE a fabulous gift card to Target! Wow, this looks delicious (and fun to make) — I might even try it with other sodas!! I like the original flavor and the instant cash back. I’ve always preferred the original Dr. Pepper. The Jingit app seems really cool. I am a Diet Cherry Dr. Pepper fan! Love it! Also, this app sounds amazing because of the cash back! Diet Dr. Pepper is my all time fave! I love the classic Dr. Pepper, although sometimes I do enjoy the Diet Dr. Pepper. I would say that’s my favorite diet soda because I don’t regularly like diet soda. Earning extra cash sounds like a great deal. I really like original Dr. Pepper and Cherry Dr. Pepper. This is such a cool app – I love that I can earn rewards just for buying products I would buy anyhow. Thanks for the awesome recipe! Feel free to come share it on my recipe link party The Yuck Stops Here if you want. You can find us on my blog, Hot Momma’s Kitchen Chaos. Regular! And the instant cash back feature. I actually don’t like Dr. Pepper at all. Never have. I’m a coke or pepsi girl and sometimes sprite or mt dew, but never dr. pepper. I hadn’t heard of the Jingit app until reading this, but I love that I can save money while I shop. I’m always looking for new apps that will help me with that so I definitely plan to give it a try. I like the original Dr. Pepper! i like the original dr. pepper the best. I love the Jingit app because I can earn cash back , and earning cash while using/shopping. I like the regular Dr. Pepper. Original Dr. Pepper is the best. I prefer Diet Dr. Pepper and seriously…who doesn’t love to get a little money back?! We love the original DP flavor. Love that you can earn cash back instantly! This looks like a great shopping spree! We are fans of the original DP and I love that you can earn cash back instanly! My favorite Dr. Pepper flavor is Diet Cherry Vanilla Dr. Pepper. And I love the Jingit app because I can earn checking out products I didn’t know about (usually). We love the cherry in my house! I cannot remember the last time I had a Dr Pepper…. Personalized cash back, oh yeah! I love regular Dr. Pepper, and my favorite thing about the app is the personalization! I can’t wait to try this cake recipe. Sounds delicious!! We’re a marching band family, too, but luckily it’s warm here in Georgia. 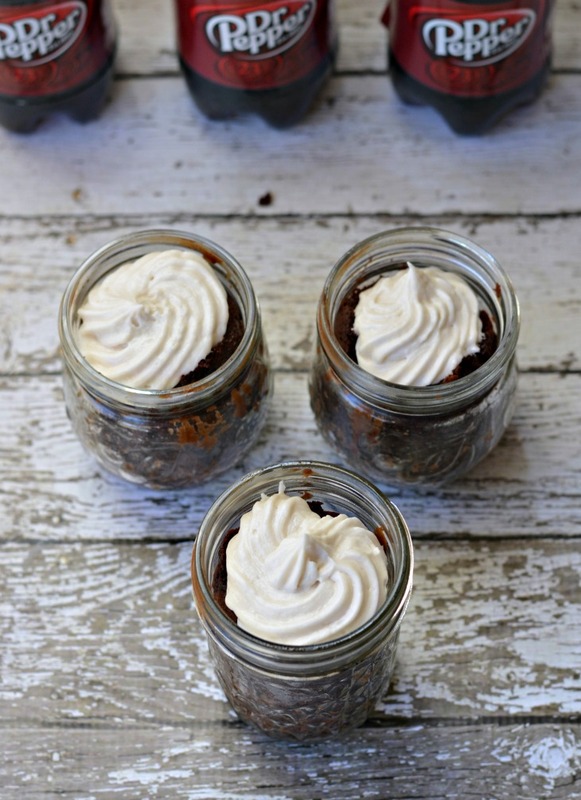 (Love the idea of bringing the kids cake in jars.) I’m a Diet Dr. Pepper fan. IMO it was the first diet drink that tasted good. Love that the app would help me save money on the go! 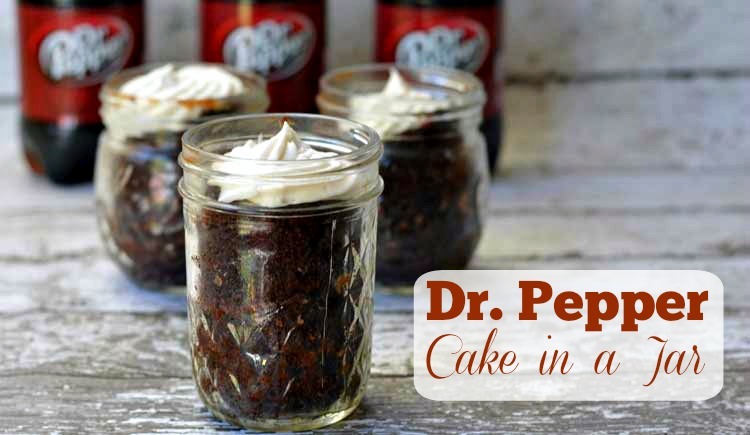 My favorite flavor of Dr. Pepper would have to be original… used to make chocolate cake! This recipe looks amazing! I wish they still had diet cherry vanilla dr.pepper…. That was so yummy!! I love the plain ole Dr Pepper the best…I’m known for loving it. I’ve cut way down since College but I still have to drink one every day. I quit for a few years and that it was I like to call the dark years 🙂 I even have a Dr. Pepper board on Pinterest…that’s dedication! diet Dr. Pepper is my favorite, and I love that you get personalized cashback offers with Jingit! I like the original flavor and what I like best about the app is how I can save money with it. I love the original flavor of Dr. Pepper. I like that I can save money with the app. I love Diet Dr. Pepper and I love the app for saving money!! Love the Vanilla Dr. Pepper! I’m a classic Dr. Pepper fan, personally. And I like the tracking aspect of Jingit. Thanks for this great recipe! I love the original Dr. Pepper. The classic Dr. Pepper is my favorite- it makes the world taste better! And jingit looks like a great way to earn back some money and save! Diet Dr. Pepper is my favorite – it’s like a dessert for me 🙂 I like Jingit because it makes it easy to save money without having to clip coupons! My favorite flavor is Cherry Diet Dr. Pepper. What I like best about the Jingit app is the money savings. and as for Jingit – love the personalized cash back offers. Smart phones are so handy! These are so cute! Definitely gonna make them for our next tailgate party! My favorite is the original Dr. Pepper. I like that Jingit can help me store a shopping list. Regular, original Dr. Pepper is my fave! I loooove Dr. Pepper, and I’m totally a sucker for getting cash back on anything so I’ll have to try Jingit out! Good ole fashion original is my favorite Dr. Pepper. I am new to the app so not really sure on that. I’m a classic dr pepper fan – you just can’t beat the classics! Love Dr. Pepper 🙂 Regular and Diet, they all taste amazing. Even I can make this yummy dessert, and I have plenty of little mason jars ready to go! Love Dr. Pepper by the way! Regular Dr Pepper is my favorite. I love an original! The Jingit app makes it fun to save money. I love a classic Diet Dr. Pepper- what a refreshing treat! I like good ol’ classic Dr. Pepper and who doesn’t love getting money back?!?!?! The Vanilla Float Dr Pepper! Yum yum! And Jingit is just so easy to use! Yum! Pinning these lovely heavens in a jar! I’m a regular, traditional Dr. Pepper lover! I love the classic Dr. Pepper!! The Jingit app, what’s not to love save money,find deals on things you already plan to buy! I like diet Dr pepper the best. This cake looks so yummy. YUM! It’s always diet Dr. Pepper for me! My favorite! Regular DR Pepper all the way. I need to try this app. Cash back, yes please! I love Cherry Dr. Pepper although Classic Dr. Pepper comes in a close second. The Jing-it app sounds like a great way to save money and I like the personalized offers. I love Diet Dr Pepper! and I love the Jingit app because earning cash back deals and anything while shopping is AMAZING. I love to save as much as possible. The app seems easy and simple too! Need to be saving/getting cash back as much as possible specially with Christmas coming up! I love Diet cherry dr.pepper! and I love the Jingit app because any chance of cash back deals, and earning cash while using/shopping is amazing. I LOVE to save as much as possible! Specially with Christmas coming up! Dr. Pepper has a distinct flavor. Its no denying it. Me and the babies are trying this recipe this weekend. I love the original flavor! I can’t wait to make this!! I love that the app gives you cash back! This looks amazing!!! I cannot wait to try this! Love the original for sure!! And i love that it gives you cash back!!! I don’t think you can beat the original Dr. Pepper. And I love anything that gives me cash back! The app sounds great. I love Cherry Dr Pepper!! SO yummy!! love the recipe too thanks for the chance! I love diet Dr. Pepper! I am getting the app now and can’t wait to try it! Thanks. I like Diet Dr. Pepper. Can’t use these apps since I don’t have a smart phone. My favorite flavor is Diet Dr. Pepper . What I like most about the Jingit app. is that you can earn cash instantly online, in-store, and on the go with participating brands. I love the original flavor of Dr Pepper. I really love the fountain one. I have not tried the Jingit but it looks like it would be a plus to saving money. I used to drink Dr Pepper all the time when I was younger but I can’t drink caffeine anymore. I do like the concept of the Jingit app. I use a similar app when I grocery shop. I remember my mother’s copy of The Dr. Pepper Cookbook! Jar cakes are a great idea. Classic Dr Pepper is the REAL D.P! 😀 And I would love to get cash back! I like Dr. Pepper original and the cash back offers. The diet is the best all diet ones. Plus cash back apps are wonderful also. I don’t drink Dr. Pepper or soda at all but if I did, it’d probably be vanilla. I recall trying it 10+ years ago and thought it was pretty good. I like that those cash back apps, or rewards apps that are coming out. Makes it a lot easier to do that. The online tool bars are nice but harder to get off the computer. 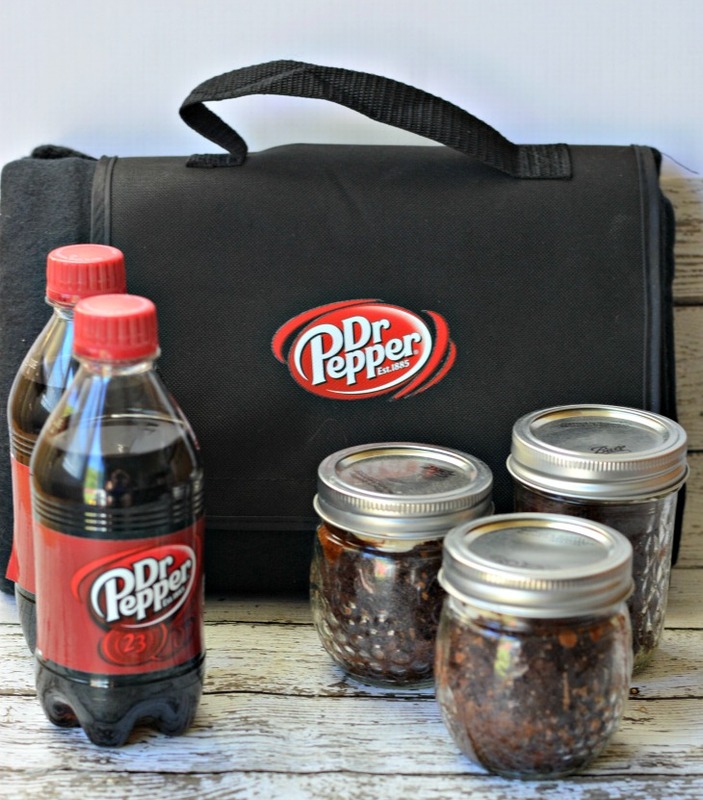 I love Dr. Pepper and can’t wait to try this recipe. Original for me, and the cash back feature is nice to have. Amaretto flavor! The app pays! I love, love my Diet Dr. Pepper! I like that with the app. it is so easy to be rewarded. I like Dr pepper original. I like with the Jingit app, you can earn cash instantly online and in-store. My favorite Dr. Pepper flavor is the original flavor. What do I like most about the Jingit app? I think anything that helps you save money is wonderful. However, I do not have a cell phone. I love Vanilla Dr pepper and i love the cashback offers! I like the original and I love to get cash back! I’m for original Dr. Pepper all the way. I like the personalization of Jingit. Getting cash back for things I was going to buy anyway is awesome! And I would love the freebies. I like original Dr Pepper and I like this app because I can earn cash back!! I am a fan of original dr pepper. I like vanilla Dr. Pepper way more than regular. Diet Dr. Pepper — simple & delicious! My favorite is the diet dr. pepper cherry flavor! All my daughter drinks is dr pepper! I like the diet version! Lots of carbonation and tastes wonderful! I like the 10 calorie diet dr pepper! The offers on the Jingit app are the best! I’m not a soda fan, but maybe I can use club soda! I like plain old Diet Dr. Pepper. It is so good you can’t tell it’s diet. I like diet Dr. Pepper the best. I just might need to try this! Those look great! These look super yummy and easy for on the go. Cherry Flavor is my fav. I like the money savings about the Jingit App 🙂 thank you! I like Diet Dr. Pepper – it’s so true that it tastes like the original. And personalized cash back offers when you shop using the Jingit app is my fave thing about Jingit! I didn’t realize that Dr. Pepper has other flavors other than cherry and original. I do like original best, though I try cherry flavored as a change once in a while. Dr Pepper has flavors? wow I am old school have loved it since a teenager in the 60’s! even more so warmed up in fall and winter! I really want to try this cake in a jar. with Dr Peppers fruity flavor it should be goood!! !